Dog friendly accommodation with huge fenced backyard. Sunny position, polished floors and comfortable furniture. Also accommodates up to 6 humans! 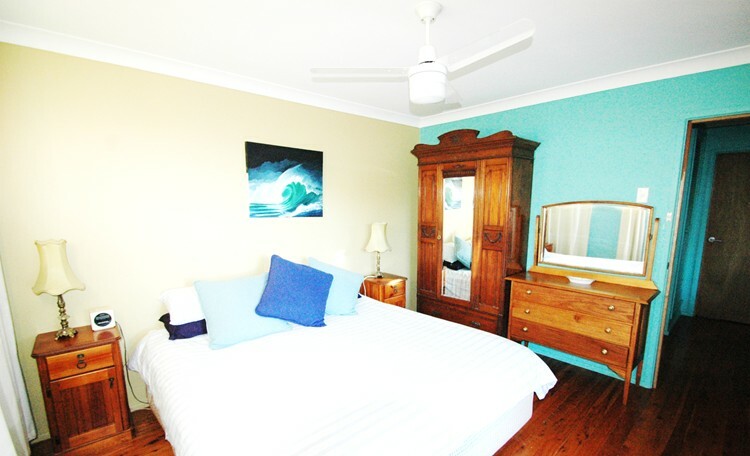 Buena Vista Beach House is situated at the highest part of Nambucca Heads on the east ocean side with views to the Shelly Beach Lookout and ocean in north and south directions. It is located in the town area yet in a quiet spot away from the crowds and very private - you can't see the neighbors from any window in the house, so no worries! - only beautiful trees and ocean views. Not to mention it 's only about a 5 or 6 minute stroll to either Beilbys Beach, Shelly Beach or the Main Beach. 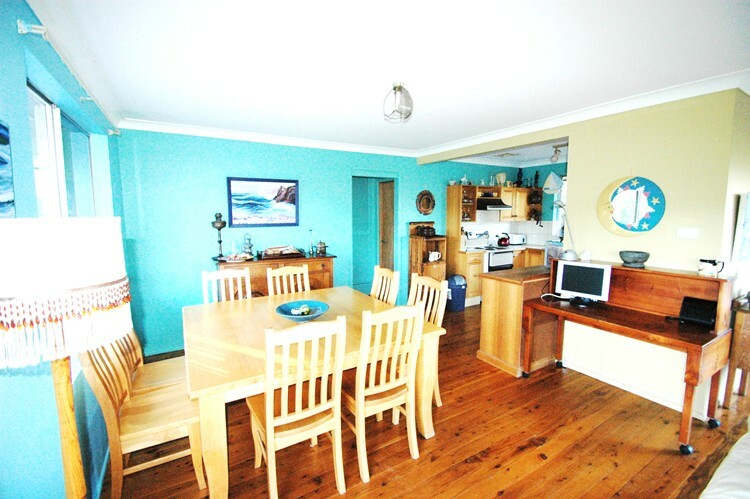 The supermarket and other shops are also a 6 minute walk away from the holiday house. Nambucca Heads is near Valla Beach and is one of the most picturesque holiday destinations on the NSW Mid North Coast. 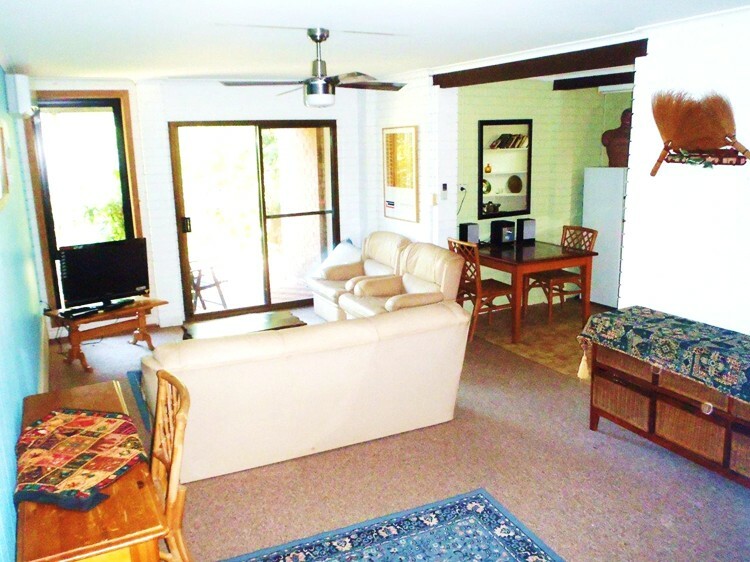 Buena Vista Beach House is the ideal pet friendly holiday accommodation for your next family beachside vacation or "Getaway Weekend". Ocean and bush views from living room, bedroom, and deck. 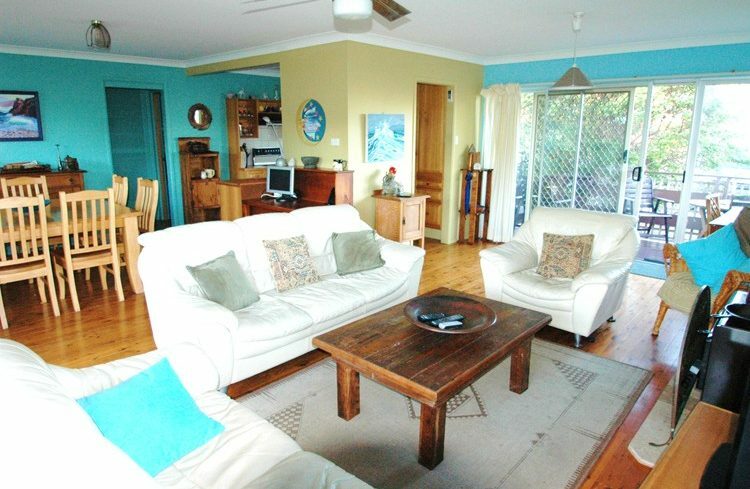 Buena Vista sleeps up to 6 people and is pet friendly accommodation. UPSTAIRS: has two bedrooms: bed 1 with king bed and bed 2 with double and single on top. 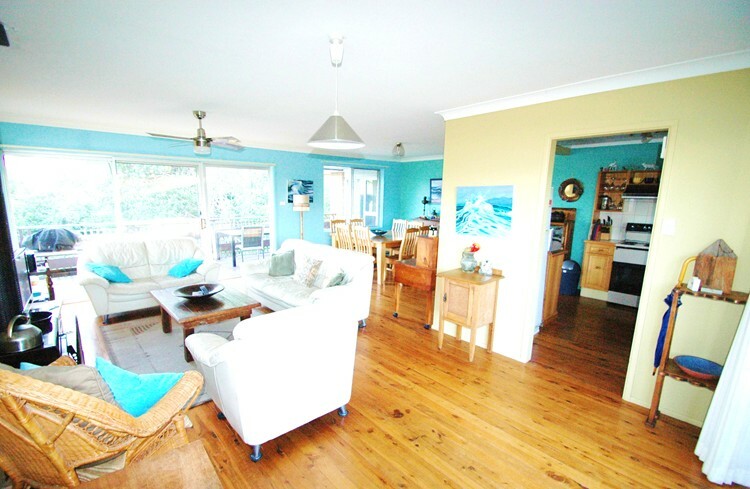 Combined living and dining area with wood fire, fans in each room and air conditioning and heating. The comfortable lounges and the great hardwood dining table are the perfect combination to make you feel comfortably at home. Wood heater installed. There also is inverted heating (to be used with care), but the wood heater is recommended since bills are terrible! Front and back deck to choose from with weber bbq. Kitchen highly equipped with everything you need: ie. slow cooker, juicer, rice maker and appliances including a dishwasher and microwave. Polished floors and comfortable furniture with new beds. Main bathroom upstairs with shower and toilet. TV with DVD player and CD player and plug in your phone capability. Local telephone for making calls within the area and receiving calls, and wireless internet available at a minimal fee. 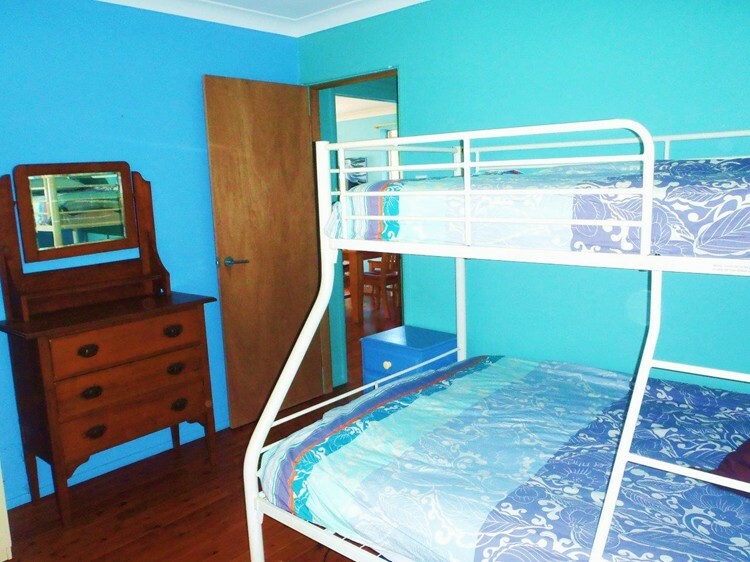 DOWNSTAIRS: Rumpus room with separate bedroom, bathroom with shower, toilet, and laundry. HD TV, DVD and CD player. 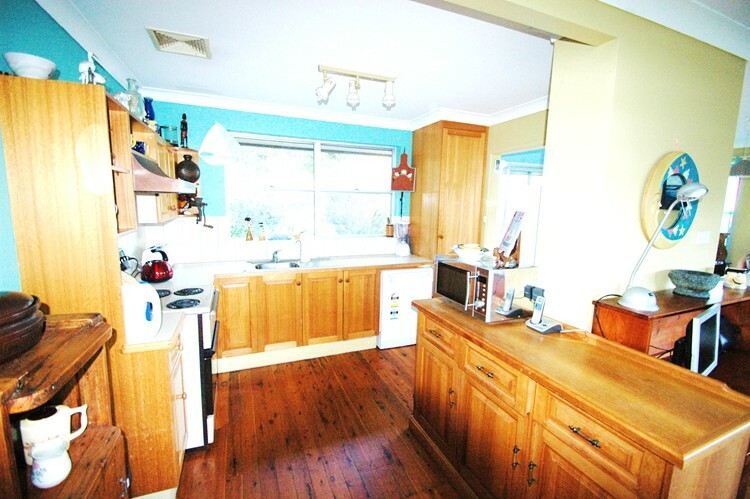 Kitchenette with hotplate toaster oven, kettle and fridge...whatever you need we can get! Washing machine, clothes dryer and iron. Wireless Broadband with computer available. Dog friendly fenced backyard and front yard with gates in the front. Lock-up garage for your kayaks and surfboards or a snug fit for a small vehicle only. Please call 0455 366 707 to make an inquiry using the link at end of this page or email us and we will respond as soon as possible.